Unlike the U.S. Congress, Colorado’s state legislature must pass a balanced budget each year, as required by our state Constitution. Two full weeks of each 16-week legislative session is spent debating the coming year’s state budget, a process the legislature just completed. Here are some of the highlights of next year’s budget and how it will impact JeffCo’s business community. Known as the “Long Bill”, the annual budget bill is written by the powerful Joint Budget Committee. While both the Republican Senate and Democratic House of Representatives added a large number of amendments to the bill over the last two weeks, the JBC will ultimately reject most of those. The state is in the unusual position of having extra tax revenue to spend, but both chambers of the legislature added enough amendments to the Long Bill to overspend even that new revenue. Other than funding the state government for the coming year, the major new elements of the nearly $29 billion 2018-19 budget, as drafted by the JBC, were about $500 million for transportation, $225 million for reforms to the underfunded Public Employees Retirement Association (PERA) and $150 million in extra funding for K-12 schools. Regarding the JCBL’s top 2018 priority of finding more funding for transportation, the legislature and the business community continue down a few different paths that are slowly coalescing. The only thing that everyone seems to agree on at this point is that $500 million of the state’s excess revenue should go to transportation projects next year. While that is more general funding for transportation than we have seen in a long time, it is still a small down payment on the $9 billion backlog of road projects facing the state. Plans for funding transportation after next year are less clear. The Senate Republicans’ top transportation agenda item – SB18-001 – cleared the Senate unanimously after a bi-partisan deal spearheaded by Jefferson County’s own Senator Rachel Zenzinger (D-Arvada). That deal provides for $500 million next year and about $150 million each year after that, with a plan to ask voters in 2019 to issue bonds so more projects can be completed earlier. The fate of that deal, however, is uncertain as SB001 heads to the Democratic House of Representatives. The leadership there has expressed a desire to see more of that funding go to local governments for their own transportation, transit and mobility projects. Meanwhile, two business groups are moving forward with competing plans to ask voters to raise either sales taxes or vehicle ownership taxes to provide new funding for state and local transportation projects. If the legislature adequately funds transportation during this session, or two competing tax hike proposals actually make it to the ballot, the success of either could be in doubt. 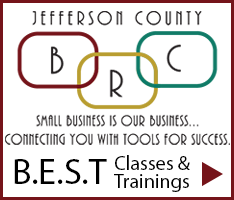 Just a reminder that you can find the status of all of the JCBL bills at jeffcobusinesslobby.org. While you are there, sign up for regular updates under the “Take Action” icon.